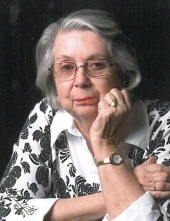 Obituary for Carolyn J Cary | Schlup-Pucak Funeral Home Inc.
Mrs. Carolyn Jean Cary (nee Cline) died on November 5, 2018. She was born on December 2, 1932. She was a 1951 graduate of Garfield High School. She attended Baldwin-Wallace College, Berea, Ohio for two years and grew up in the Firestone Park area. She was preceded in death by her parents, Harold L. and Irene Kimes Cline; and a sister, Shirley C. and Paul Pontius. The Fayette County Business and Professional Women chose her as its first vice president in the early 1970’s and she also served on the Fayette County Cancer Board for 11 years. When the Fayette County Chamber of Commerce begin in 1967, Carolyn was one of the founding members and served as its first Executive Secretary for four years, operating out of her living room until the Chamber could afford office space. She received awards from the Creek Indian Nation and Clan MacKintosh for work on their behalf, the Fayette County Jaycees and the Kiwanis Club of Peachtree City. Burial has taken place at Greenlawn Memorial Park beside her parents.